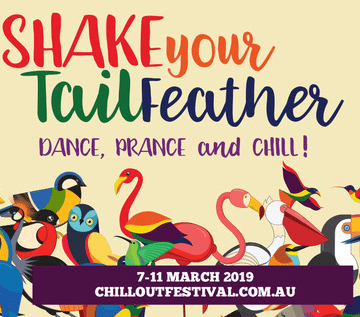 Rest assured that the outrageous fun and frivolity of Chillout Festival is not only for adults but for kids of all ages too! The kids bush dance is a definite highlight for an afternoon of toe tapping, don’t miss the world class circus acts, and many of the all ages events are open for kids under 12 for free. For more information drop by the Daylesford Visitors Centre at 98 Vincent St, Daylesford, open 9am – 5pm daily. Tickets can be purchased online at www.chilloutfestival.com.au or at the visitors centre (limited events only). Two highly trained British spy operatives are on a mission to save the planet from boredom relying only on comedy and circus tricks. They will need your help if they are to succeed! Join us for some fabulous fun for kids of all ages and parents can come too if they promise to behave! Stories and craft activities as well as guest speaker DiAlysis. A must-see show of outrageously funny proportins! Australia’s prince of circus & physical comedy, Daniel Oldaker aka ‘Dandyman’ will thrill you with an eclectic show of jaw-dropping circus, absurd acrobatics, sidesplitting comedy and mischievous high-jinks. A show for kids of all ages. A special event just for the kids. Featuring ‘The Smashing Bumpkins’ all the way from Queensland. An afternoon of foot stomping fun and getting those young tail feathers shaking all over. The much-loved carnival parade like no other! The feature event of ChillOut! All things queer country – music, mayhem and magic for the whole day. Enjoy the world class entertainment acts on the main stage, farmer Dave’s highly anticipated dog show, country games including the bucking bronco, workshops and market stalls!